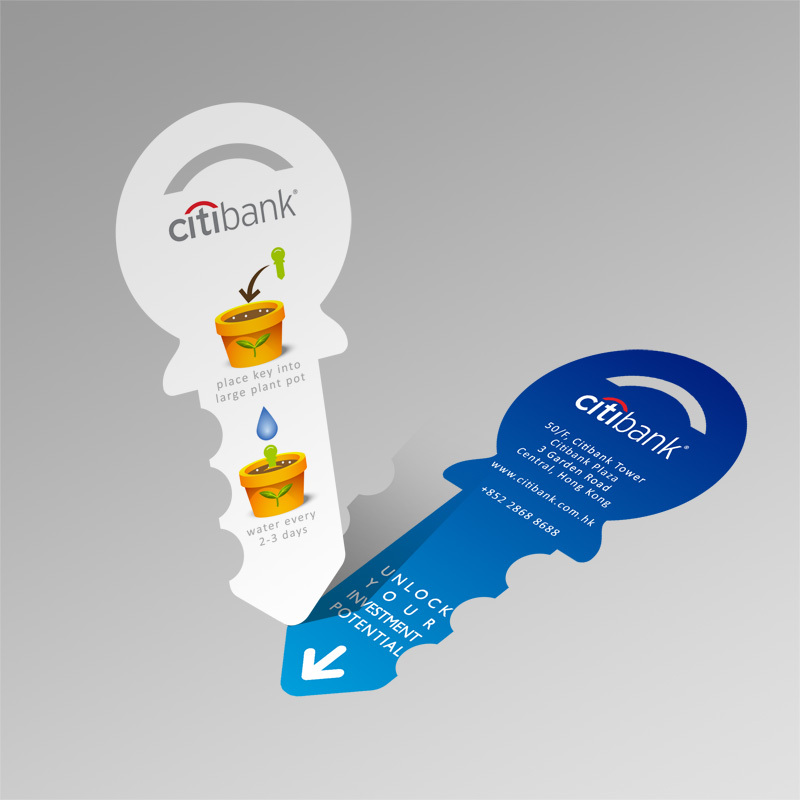 This is a concept business card designed for Citibank. The idea is to provide an inspirational message to potential customers of the bank, in the form of a usable card that will grow a surprise plant when planted in soil. The message relates to the core of the business, which is to see investments “grow”. Concept business card designed for Citibank.